Daughter to King Edward IV, Elizabeth of York is betrothed to Henry Tudor and finds herself being Queen once Henry takes the crown from Richard III. Elizabeth cannot find a place in court whilst Henry's mother, Margaret Beaufort controls everything. She resents Henry for killing her lover, Richard. Then news comes that a boy is mustering an army in neighbouring countries and claims to be Richard, Duke of York, coming for his rightful throne. Elizabeth must decide where her loyalties lie - with the husband she was forced to marry or the house of York and the boy who says he is her younger brother. The fifth instalment of The Cousins' War series depicts the life of Elizabeth of York, as Queen of England and the beginning of the Tudor era. As a massive fan of Philippa Gregory and her historical novels, I just had to get myself a copy. The White Princess is probably the only novel that I won't be raving about, unfortunately. It's got her writing style and thorough research so that it seems realistic enough but the plot and characters were just a drag. I was looking forward to reading through Elizabeth's perspective, after encountering her in prior novels and sensing how intelligent and charming she was. However, I got nothing of the sorts in this novel. I am disappointed as to how Elizabeth seems so passive throughout the entire novel, making it almost weary to read if not for Gregory's great writing. The women in her previous novels all had strong and independent positions, paving their own ways and using their wit to create plans to benefit for themselves and their family. I don't get that with Elizabeth. She is merely just a vehicle used to tell the story, a figure that everyone knows but hardly does anything. I suppose Gregory couldn't change history, even if it is fictional, but the novel portrays Elizabeth as a character in the shadows watching or hearing from others about what is going on. She is never in the thick of things, which leaves her seem weak and almost boring. Gregory does play on the fact that Elizabeth was rumoured to be Richard III's lover and adds elements of that into the novel. It is merely memories for Elizabeth but if Gregory had included maybe a chapter of their times together before transitioning into Henry VII's reign it would've raised the excitement of Elizabeth just a little. She would've had more character if I had witnessed the passion she felt for Richard as opposed to constantly just thinking about it and telling readers how much she aches for him. It would allow for her romantic affair with him to be a little more realistic, instead of sounding like a one-sided love. I do love, though, how Gregory sticks to the portrayal of Margaret Beaufort from The Red Queen in this novel. Margaret Beaufort will forever be an ambitious and annoying lady, who believes God has chosen her son to be King. She has the same characteristics that made her the antihero, both here and in her own novel. Also, how Henry VII was portrayed was fascinating. It seemed so realistic how his fears and suspicions ate at him and that England would not recognise him considering he had been exile for so long, and never received any comfort from people he knew. It was easy to feel sympathy but also a hatred towards him for his harsh manners. Out of all the characters, I think King Henry VII and Margaret, daughter of George, Duke of Clarence, was most realistic. Maggie for her gentle and caring image and Henry VII for his ruthless manner, which I expect a king to have in order to get where he is. On the contrary, Elizabeth's mother, Elizabeth Woodville, had a different representation to what was seen in The White Queen. She was less likeable and seemed a little less in control, which was sad for me. In short, the positives are Gregory's amazing writing skills - creating vivid images and emotional passages of speech. The realistic ways of some characters and the interactions between different characters, especially between Elizabeth and Margaret Beaufort. It is also amusing to see tiny references of historical events yet to come being mentioned by the characters. The betrothal between Arthur and the Princess of Spain, Catherine of Aragon is raised. King Henry VII is portrayed as an energetic and vain boy, which I agree wholeheartedly to. However, there are also negatives that cloud out how amazing Gregory can be. The novel was dull for most parts, with only surprising twists scattered throughout. It was more of a recount on King Henry VII's attempts at securing the reign, through a character who would never have even witnessed a battle scene. There are moments were it got repetitive with rebellions and the king going out to arms. The ending was touching though, and I felt like it concluded everything up quite well. I liked how Henry and Elizabeth's relationship was moving in the right direction. There is a lot more to Elizabeth, which is revealed during the last half of the novel so it is hard not to like her. Yet, her character just isn't strong enough. I powered through the novel in two days, as an avid history freak. It was okay. I wasn't ecstatic about it but neither was I totally let down. I just felt like, if Elizabeth was only at the edges of things, Gregory could've chosen someone else to base the novel on. Give it a go, your opinion might vary with mine. I will read the next novel of this series because it still is interesting to me, despite my feelings for this novel. Compared to The White Queen though, The White Princess seems to lack some wow factor. 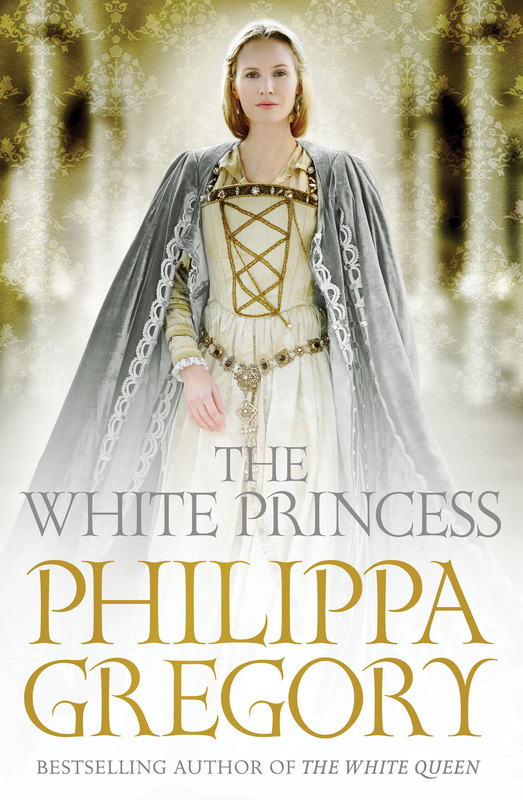 I also read and reviewed The White Princess (http://thehistorylady.wordpress.com/tag/white-princess/), but liked it much better. I like the internal turmoil that Gregory gives her characters like Elizabeth of York, or Anne Neville. These are women who in fact were a bit more in the shadows from what I know of the historical record. Gregory could have made her outwardly, publicly, more thrawn and feisty but she kept to quiet public face and did a great job, I thought, of showing her as a woman of real conflict and emotions - which she must have been. Are you watching The White Queen series? That's true because Gregory was able to keep me interested even though I thought Elizabeth Woodville was a better character than her daughter. Still, I appreciate that you have read my review! I have started it and King Edward is gorgeous. Should I continue on? I am only up to episode 3. PS - if you like historical fiction, i'm doing a giveaway -- see today's blog post!